WOW! 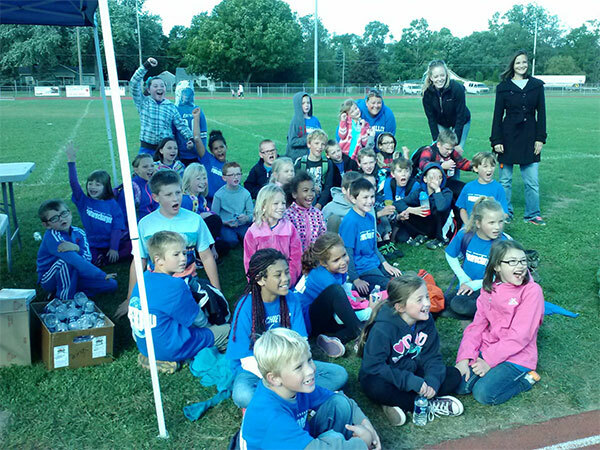 What an awesome start to the year for the little Chargers of Creative Technologies Academy! 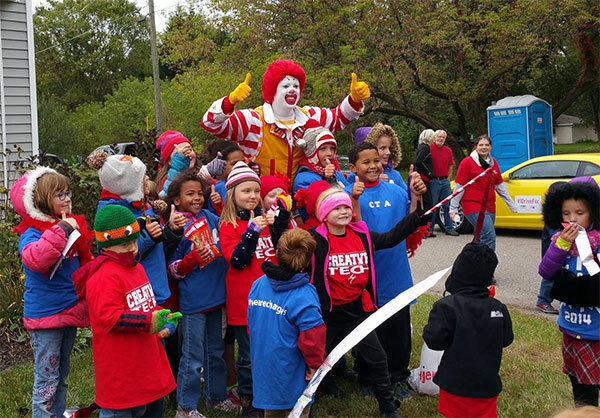 CTA Elementary was busy with lots of fun things: the annual Walk-A-Thon and the Red Flannel Festival! 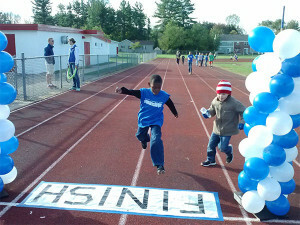 The Walk-A-Thon included obstacles for the students, including a finish line they got to cross after each lap. 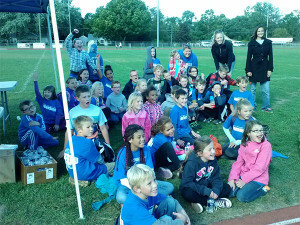 The CTA Parent Association decided to have one – and only one – BIG fundraiser this year: A Walk-a-Thon. The students were asked to contact their friends and family to donate to their participation in the Walk-a-Thon at our local Skinner Field. All of the donations are going towards funding for educational class field trips. In fact, every grade in the elementary raised enough to go to Klackle Orchards where they will learn about various apple processes, agricultural practices and of course enjoy samples and experience apple picking – completely paid for by the donors! Nice work, Chargers! Chargers lining up to walk in the Red Flannel Festival Parade. CTA was ever-present in the Red Flannel festivities this year. We participated in the window decorating competition. Congratulations to third grade for a first place ranking this year. 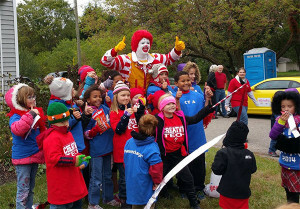 This was also the first year that CTA walked as a school in the Red Flannel parade. And boy, did we pick a good year to start! A little rain and cold won’t hold us Chargers down! NO WAY!